There is much to discuss for those who have followed the 2012 Formula One season; it is an understatement to say that it has been a strange year of racing. Sebastian Vettel has not been able to replicate the same form that he showed last season and with no outright leader after six races, it is hard to pick a winner. For this reason, some are saying that this is one of the most exciting seasons in recent years. Yet, for others, the season has lacked any clear rivalry, with the biggest battle being between the drivers and their rapidly disintegrating tyres. The fact that Lewis Hamilton is still tipped by many to win the title should be an unusual choice when considering that he hasn’t won a race after securing three pole positions on the grid. However, few would disagree that Hamilton has been one of the outstanding drivers of the season so far. In a season where the new Pirelli tyres have caused many of the drivers problems, Hamilton has driven with considerable ease and maturity, along with his former McLaren teammate Alonso. His McLaren team however, haven’t been able to capitalise on their driver’s good form. The combination of some controversial punishments and unlucky pit stops has haltered Hamilton’s progress so far. This will not trouble the British driver though. Coming into Canada, he will be confident as a two-time winner at Montreal. It is a circuit that he has enjoyed racing since gaining his first Formula One victory there in 2007. With the potential for rain on Sunday, the 2008 World Champion could thrive once again. On Friday, he recorded the fastest time in practice and this has been a feature of Hamilton’s season so far; it is clear that coming into each race he wants to lead from the front. Commentators have remarked upon his maturing attitude to racing. Certainly in 2012 there has been a shift from a constantly aggressive racing style to a more conservative approach. He is content to take home the points without taking victory. Yet, his aggressive racing style is one of his main attributes and has won him many fans, along with the negative criticism for forceful tactics. What cannot be denied, is that Hamilton’s will to win is as great as it has ever been. With qualifying and Sunday’s race still to go, perhaps this weekend will provide the seventh winner of the 2012 season. 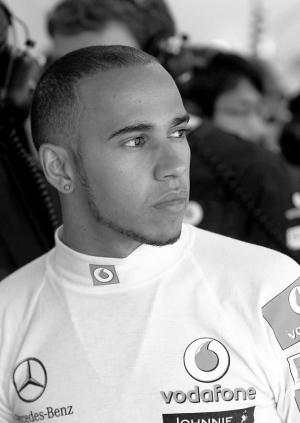 And if it is Hamilton’s time to win, then he will surely become the favourite to win the entire championship. A good, balanced and well written post.